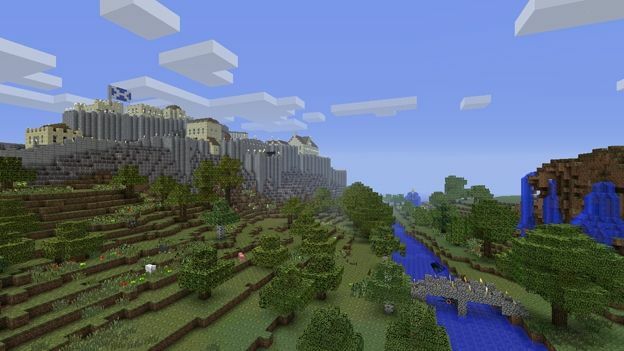 Minecraft: Xbox 360 Edition has remained top of the UK video games retail sales chart for the third consecutive week. Admittedly the last three weeks have been pretty quiet in terms of high profile releases, but this unbroken run is the longest for an Xbox 360 exclusive since Forza Motorsport 2 back in 2007. The new release for this week, the rather beautiful JRPG Tales Of Xillia debuted in fourth place. FIFA 13 climbed two spots to second place, perhaps bouyed by the start of the Premiership season. Elsewhere in the charts, Animal Crossing: New Leaf slipped two places to 5th place, yet still managed to outsell Nintendo's last triple A release for the Wii U, Pikmin 3, which has disappeared from the top 20 charts all together.